• The only surviving London house lived in by author Charles Dickens – now occupied by the Charles Dickens Museum – reopens on Monday after a £3.1 million restoration and refurbishment. The redevelopment of the Georgian, Grade I listed townhouse at 48 Doughty Street in Bloomsbury – a project named Great Expectations – has seen the museum expand into a neighbouring property at 49 Doughty Street which now houses a visitor and learning centre and cafe. Inside the house itself, the rooms have been returned to their appearance during Victorian times and on display will be some of Dickens’ personal items which haven’t been seen before. They include a set of photographic prints from 1865 which depict a train crash in Staplehurst, Kent, in which Dickens was involved. 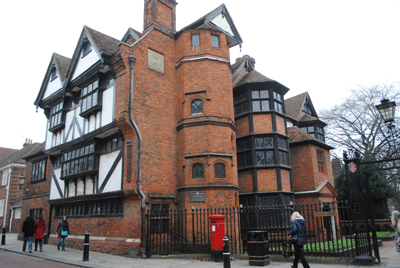 The museum, which is where Dickens wrote Oliver Twist, Nicholas Nickleby and finished The Pickwick Papers while living here between 1837-1839, was first opened in 1925. This year marks the bicentenary of Dickens’ birth (he was born on 7th February, 1812, in Portsmouth). For more on the museum and upcoming events there (including Christmas performances of A Christmas Carol and a series of special Dickensian Christmas walks), see www.dickensmuseum.com. 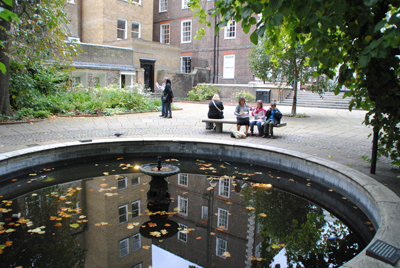 For more on Dickens, see our earlier special – 10 London sites to celebrate Charles Dickens. • Historian and broadcaster AJP Taylor, known as ‘The History Man’, has been honoured by English Heritage with a blue plaque placed on his former home at 13 St Mark’s Crescent in Primrose Hill. Taylor lived at the mid-nineteenth century semi-detached villa between 1955 and 1978 during the height of his fame. First appearing on television as early as 1942, Taylor was a regular on television discussion programmes between the 1950s and 1980s, and is described as one of the first ‘media dons’. He also wrote weekly columns in the press and books including the controversial The Origins of the Second World War. Married three times, he had six children and died of Parkinson’s disease in 1990. For more, see www.english-heritage.org.uk/about/news/?topic=Blue%20Plaques. • On Now: A Dandy 75th Birthday Exhibition. This exhibition at the Cartoon Museum in Bloomsbury focuses on The Dandy, Britain’s longest running comic (officially recognised by the Guinness Book of Records), and follows its development from its birth with the release of the first issue on 4th December, 1937 (which, incidentally, was so popular it sold 481,895) through to this year’s issues including the final print issue released on 4th December this year (after which The Dandy goes digital). Runs until 24th December. Admission charge applies. For more see www.cartoonmuseum.org. • Portsmouth. Dickens was born here on 7th February, 1812, and the modest home in which this took place is now the Charles Dickens Birthplace Museum (www.charlesdickensbirthplace.co.uk). The house featured three furnished rooms and an exhibition room with a display on Dickens’ connections with Portsmouth and memorabilia including the couch on which he died at Gad’s Hill Place. Fans from all over the world will be converged in Portsmouth later this year when the International Dickens Fellowship Bicentenary Conference 2012 is held over 9th to 14th August (www.dickensfellowship.org/Events/annual-conference-2012). • Chatham and Rochester, Kent. Dickens spent five years of his childhood (from 1817 to 1822) living in Chatham and as a result it and the neighbouring Medway town of Rochester helped to inspire some of the characters and places in some of his most famous works. Restoration House in Rochester, for example, is believed to have been the inspiration for Satis House, where Miss Havisham lived in Great Expectations while Eastgate House (pictured) features as Westgate in both The Pickwick Papers and as the Nun’s House in The Mystery of Edwin Drood. Until 2004, the house served as the Charles Dickens Centre and interestingly, the Swiss chalet in which Dickens wrote was moved here in the 1960s from Gad’s Hill Place – it can be seen over the fence. The area has celebrated its connections with Dickens with an annual festival every year since 1978 – this year’s takes place on the 8th, 9th and 10th June. See www.medway.gov.uk/leisureandculture/events/dickensfestival.aspx for more. (Late addition: We neglected to mention Dickens World located at Chatham, an interactive experience which recreates nineteenth century England – you can find more about it here www.dickensworld.co.uk). • Broadstairs, Kent. Dickens first came to stay at this seaside resort in 1837 when he was 25-years-old and already had a reputation on the rise. He repeatedly returned over the next couple of decades. The Dickens House Museum (www.dickensfellowship.org/branches/broadstairs) was once the home of Miss Mary Pearson Strong on whom much of the character of Miss Betsey Trotwood in David Copperfield is believed to be based. It features a range of Dickens-related artefacts, including letters he wrote from or about Broadstairs. The Broadstairs Dickens Festival runs from 16th to 22nd June. • Gad’s Hill Place, Higham, Kent. Dickens died here in 1870 after spending the last 13 years of his life living at the property. It’s now a school (www.gadshill.org) but the ground floor will be open to the public this summer, from 25th July to 19th August, for pre-booked tours of reception rooms and the study where he wrote Great Expectations, Our Mutual Friend, A Tale of Two Cities and the unfinished novel Edwin Drood. For more information on the tours, see www.dickensmuseum.com/news/gads-hill-place-to-open-to-public/. This was the last in our series on Charles Dickens – next week we start a new series in honor of Queen Elizabeth II’s Diamond Jubilee. For more events surrounding the Dickens celebrations both in London and elsewhere, see www.dickens2012.org. • ‘Oliver Twist’ workhouse, Cleveland Street. The building, recently heritage listed following a campaign to save it, is said to have served as the model for the workhouse in Oliver Twist and was apparently the only building of its kind still in operation when Dickens wrote the book in the 1830s. 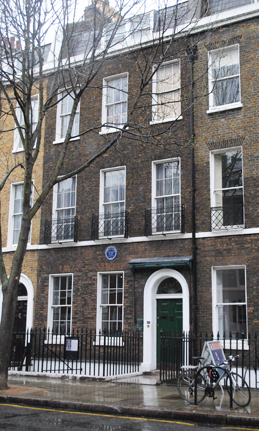 Dickens had lived as a teenager nearby in a house in Cleveland Street and was living less than a mile away in Doughty Street (now the Charles Dickens Museum) when he wrote Oliver Twist. Thanks to Ruth Richardson – author of Dickens and the Workhouse: Oliver Twist and the London Poor – for mentioning this after last week’s post. • Clerkenwell Green. It is here that Mr Brownlow first comes into contact with Oliver Twist and, mistakenly suspecting him of stealing from him, chases him through the surrounding streets. Interestingly, the grass (which you would expect when talking about a green) has been gone for more than 300 years – so it wasn’t here in Dickens’ time either. • Barnard’s Inn, Fetter Lane. It was here, at one of London’s Inns of Court, that Pip and Herbert Pocket had chambers in Great Expectations. Barnard’s Inn, now the home of Gresham College, is only one of a number of the Inns of Court with which Dickens and his books had associations – the author lived for a time at Furnival’s Inn while Lincoln’s Inn (off Chancery Lane) features in Bleak House and the medieval Staple Inn on High Holborn makes an appearance in his unfinished novel, The Mystery of Edwin Drood. And, as mentioned last week, Middle Temple also features in his books. • ‘Dickens House’, Took’s Court. Renamed Cook’s Court in Bleak House, the house – located in a court between Chancery and Fetter Lane – was where the law stationer Mr Snagsby lived and worked in the book. It’s now occupied by music promoter and impresario Raymond Gubbay. • London Bridge. The bridge, a new version of which had opened in 1831 (it has since been replaced), featured in many of Dickens’ writings including Martin Chuzzlewit, David Copperfield and Great Expectations. Other bridges also featured including Southwark Bridge (Little Dorrit) and Blackfriars Bridge (Barnaby Rudge) and as well as Eel Pie Island, south-west along the Thames River at Twickenham, which is mentioned in Nicholas Nickleby. We’ve only included a brief sample of the many locations in London related in some way to Dickens’ literary works. Aside from those books we mentioned last week, you might also want to take a look at Richard Jones’ Walking Dickensian London, Lee Jackson’s Walking Dickens’ London or, of course, Claire Tomalin’s recent biography, Charles Dickens: A Life . In the first of a new special series written in honor of the bicentenary of the birth of author Charles Dickens (he was born on 7th February, 1812), we take a look at the Charles Dickens Museum. Housed in one of Dickens’ former London residences at 48 Doughty Street in Bloomsbury, this property is now the focal point for people wanting to find out more about the writer and his life as evidenced by the visit of Prince Charles and Camilla, the Duchess of Cornwall, on Tuesday to officially mark Dickens’ birth. Dickens lived in the property from 1837 to 1839 and it was here that significant family events, such as the birth of two of his children – Mary and Kate – and the death of his wife Catherine’s 17-year-old sister Mary took place (Mary’s tragic death is believed to be the inspiration for that of the character Little Nell in the novel The Old Curiosity Shop). It was also at the property that he wrote some of his most famous novels, including Oliver Twist, Nicholas Nickleby, and The Pickwick Papers. A growing demand for space, however, led Dickens to move his household to 1 Devonshire Terrace in 1839. The Doughty Street house meanwhile, the only one of Dickens’ London homes to have survived, remained a residential property but in 1923 it was threatened with demolition and subsequently acquired by the Dickens Fellowship. The museum opened there two years later. The museum now claims to hold more than 100,000 Dickens-related artifacts. The house is displayed as it might have been when Dickens lived there – artifacts on display over four floors include his personal possessions and furnishings as well as manuscripts, letters, first edition copies of some of his books and portraits, including R.W. 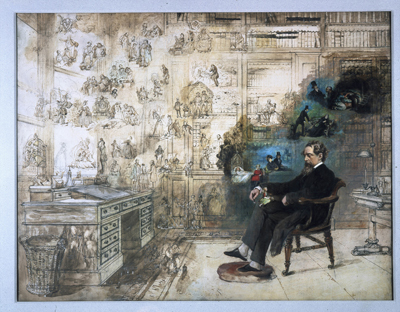 Buss’ spectacular (and unfinished) Dickens’ Dream, showing the author at his country home of Gads Hill Place in Kent surrounded by many of the characters that he had created. It’s important to note that from 9th April, the museum will be closed as it undergoes a £3.2 million project, called Great Expectations, which will involve the restoration and expansion of the museum. It is expected to reopen in December this year in time to celebrate a Dickensian Christmas. For more on events celebrating Charles Dickens and his works this year, see www.dickensfellowship.org or www.dickens2012.org. 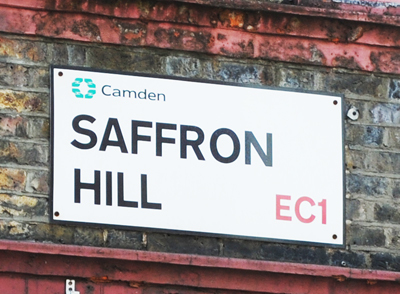 WHERE: 48 Doughty Street, Bloomsbury (nearest Tube stations are Russell Square, Chancery Lane or Holborn). WHEN: 10am to 5pm Monday to Sunday (last admission 4.30pm) ; COST: £7 adults/£5 concessions/£3 children (under 10 free); WEBSITE: www.dickensmuseum.com. • The third Story of London Festival kicked off at the start of the month with a programme of events aimed at celebrating the 60th anniversary of the 1951 Festival of Britain. This year’s festival is being coordinated by the Museum of London in partnership with the Southbank Centre. It also involves five London borough museums – that of Brent, Dagenham, Haringey, Redbridge and Wandsworth – which are hosting free displays and events around the theme of how they celebrated in 1951. The festival runs until the end of the month, so there’s still plenty of time to get involved. Among the highlights still to come is the Floral Bicycle Parade around the Southbank Centre on 28th August (‘decorating stations’ will be set up at the centre prior to the parade). For a full listing of what’s happening, see www.london.gov.uk/priorities/art-culture/storyoflondon. • The City of London has released a new filmlovers’ walking tour of London which takes in locations featured in films and TV shows. Lights, camera, action starts on Millennium Bridge (destroyed in the opening sequence of Harry Potter and the Half-Blood Prince) and takes in 23 other locations including St Paul’s Cathedral (The Madness of King George and Great Expectations), Bank Junction (28 Days Later, National Treasure II), St Bart’s Hospital (Bridget Jones: The Edge of Reason), Moorgate (Ocean’s 13 and The Bourne Ultimatum) and Tower Bridge (Brannigan, The Mummy Returns, Thunderbirds, Tomb Raider, Sherlock Holmes) before finishing at Postman’s Park (Closer). The walk has been mapped out by the City’s film team which works with location managers and film directors when they’re working in the Square Mile. The leaflet can be picked up free-of-charge from the City of London Information Centre (opposite St Paul’s) or downloaded here. • Interested in a snapshot of what London was like during a particular historical era? The Museum of London has launched a series of 16 “pocket histories”, each of which, in up to 1,000 words, tackles a particular aspect of the city’s history based around five objects or images. The subjects covered range from a look at the River Thames in prehistory to life in medieval London, from an examination of the history of Jack the Ripper and the East End, to a detailed look at the London’s plagues. While designed for a general audience, the histories are expected to be particularly useful to school students. They can be looked at online or downloaded as a PDF. Further subjects are expected to be added in the future. See www.museumoflondon.org.uk/pockethistories. The museum has also launched Picturebank, a collection of images which can be accessed online and viewed, printed or copied for educational use. • On Now: Your 2012. The Museum of London Docklands is hosting a free exhibition featuring images capturing the construction work at the Olympic site in East London and the impact on the surrounding boroughs and the environment as well as archival images which show the history of the site. The free exhibition runs until 5th February. For more, see www.museumoflondon.org.uk/docklands/.